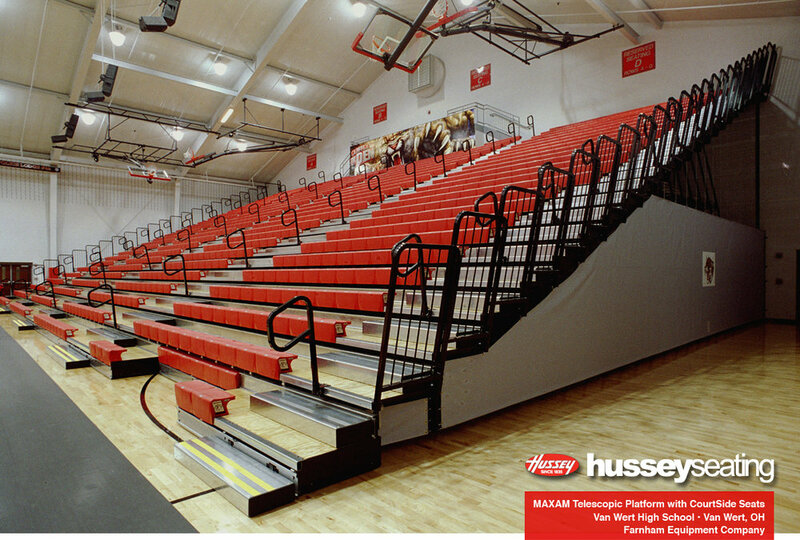 Design: Farnham Equipment Company. 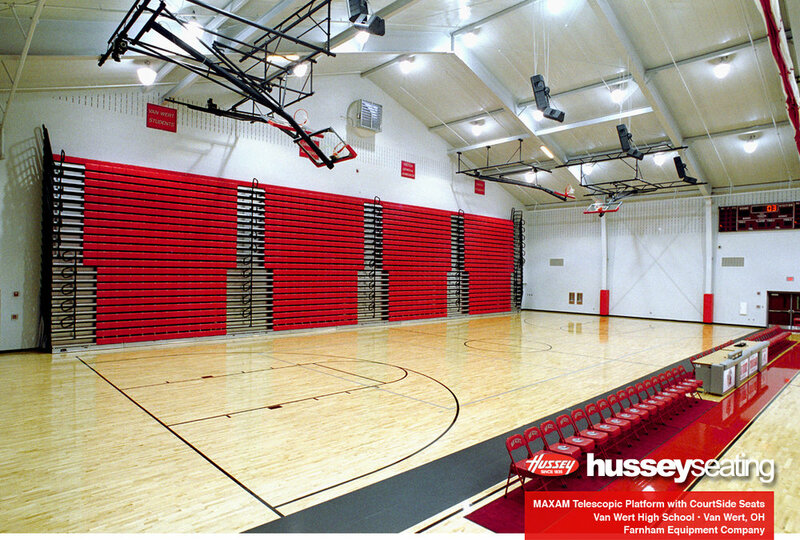 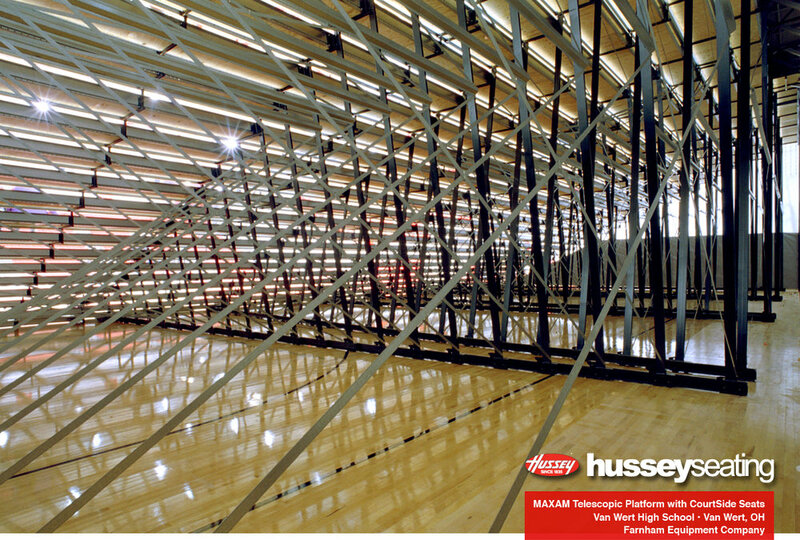 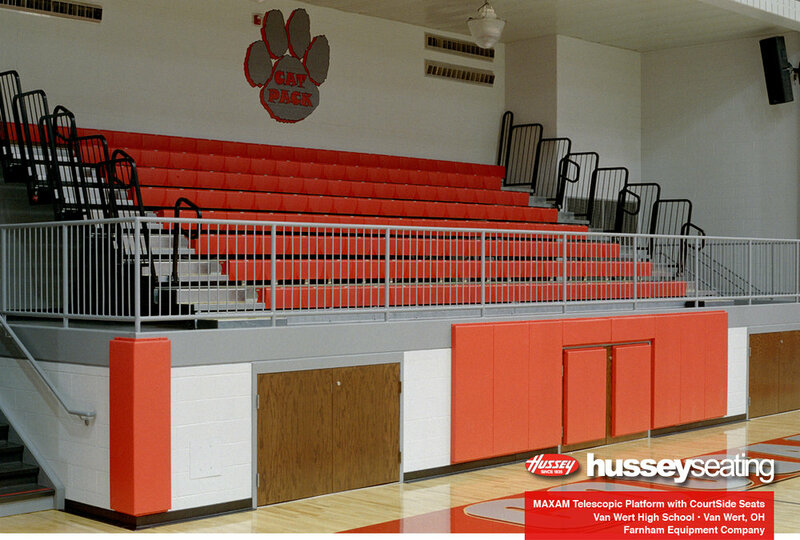 Wall-attached MAXAM telescopic gym bleachers with CourtSide XC10 seats and Flex-Row for easy first row access. 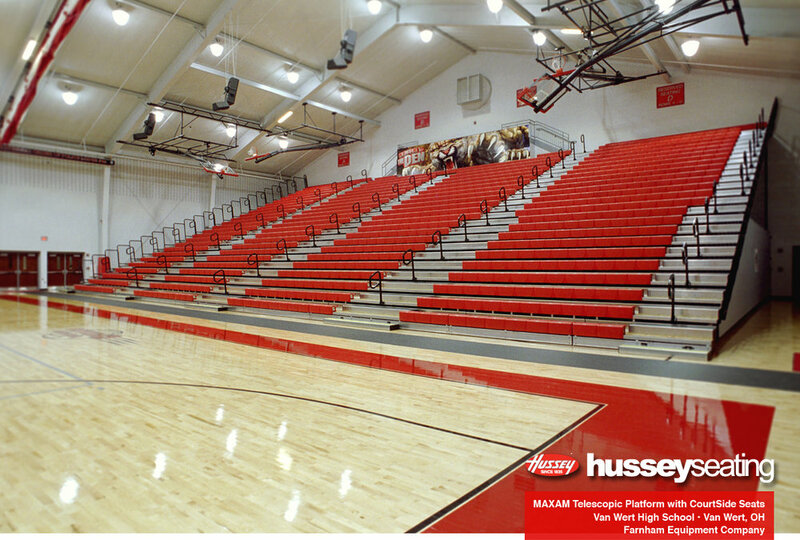 Bleachers shown with custom end curtains and seats with custom CourtSide logos.